A UK woman is the latest winner at Billionairio.com, a raffle-style numbers game that could yet make her a billionaire. Sarah Jackson of Stafford was on board an EasyJet flight to Spain when she read the company’s “What would you do with a billion dollars? !” challenge in the in-flight magazine. Eager to demonstrate what she’d do if she became an instant billionaire, she bought a ticket and soon learned she’d won 1000€ in a preliminary draw. She is still eligible to win any of the lottery-style game’s subsequent prizes of €10,000, €1,000,000€ & €10,000,000 and she could even win the grand prize of €1 Billion. 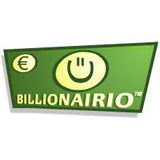 The odds of winning 10 000€ or more at Billionairio.com are better than 1 in 10,000. Winning the grand prize of 1 Billion Euros (about £630,000) is twice as likely as winning a large state lottery jackpot. Billionairio.com determines its winning numbers through major global stock indices. Winning numbers are made up of the last digit of the closing value of pre-determined indices on the day of the prize draw. The prize pool increases with every ticket purchased. Each ticket has a unique number and there can be only one winning ticket for each prize. 75 million tickets have been made available and each ticket is eligible for as many as five separate cash prizes from €1000 to the incredible €1,000,000,000 final jackpot. Billionairio.com tickets are available for €25 each(about £20) at Billionairio.com. In a recent survey conducted by BackgammonMasters.com online backgammon game operator, only 20 of 500 survey-participating players had ever heard of Second Life Virtual world currency, the “Linden.” Moreover, of the 20 survey participants who knew of the “Linden,” only two of those individuals communicated interest in using the virtual currency to play in Backgammon Masters. The 500-surveyed were international players, not in the United States. As part of the survey, BackgammonMasters stated that Linden winnings could be cashed out for the real currencies that are accepted-BackgammonMasters cashier currencies. These include: the US Dollar, Euro, CND, GBP, British Pound, Australian Dollar, Czech Koruna, Hong Kong Dollar, Danish Kroner, Hungarian Forint, New Zealand Dollar, Japanese Yen, Norwegian Krone, Singapore Dollar, Polish Zloty, Swedish Krona, Swiss Franc and the South African Rand. From the results of the survey, BackgammonMasters concluded that its players were not willing to use the Linden currency in lieu of the USD, GBP or Euros. Participants cited playing for non-virtual currencies, from making bets to withdrawing winnings, as more enticing than using the virtual Linden for game transactions. At present, the secure online cashier of BackgammonMasters provides automatic currency conversions that are commission-free. In the past this was a timely and costly calculation process. Now, customers make deposits and withdrawals in their native currencies, which eliminates poor exchange rates and high bank charges. In addition, multi-currency deposits are acceptable and converted automatically into U.S. currency by BackgammonMasters. These deposits are used to play Backgammon, Poker, Blackjack and Perudo. Gammonish.com is also an excellent source for news and information on backgammon online as well as blackjack and poker. Mr Wright wasn’t the only one to strike gold with Cantor Casino this week though as Catharine R, 32 from Headingly, Leeds also won £26,550 on Spanish blackjack. The third big winner, who prefers to stay out of the limelight, won £11,000. CantorCasino.com is home to the discerning casino player and with its low house edge and big payouts each week increasing players’ chances to win it certainly seems to be the preferred choice for players from Yorkshire. CantorCasino.com offers a selection of unique games, alongside familiar casino games such as blackjack, roulette and slots. CantorCasino.com’s innovative games’ such as StatJack™, which counts cards for you, is typical of this innovation. In addition, the arrival of Cantor Financial Odds, which allows players to bet on movements in stock indices with as little as a £1, highlights CantorCasino.com’s commitment to giving customers exactly the high-quality gaming experience they will be looking for when they visit the site.